At some point this week there was a change to my daily dog walks. Where there had been pavement, there is now a scattering, just one layer deep, so far, of crisp, pale amber leaves. It’s beginning to feel a lot like fall, or autumn for us Brits. This week meant back to school and back to reality for me. Six weeks off then back down to earth with a bump, though a slightly cushioned bump, knowing I’ll soon be taking a group of children to France. Whilst not nearly resembling a holiday it will be a completely different way of spending time with children and immersing them totally in a different culture and country. I spent the week intending to blog about new (school) year resolutions and the changing season, but quickly became immersed in my class, classroom, and several new term duties. A week in and my number one resolution is pretty much the same as always: organisation. Planning ahead and making the best use of time are crucial, especially if I want to balance my marking with making, which I very much do. To this end, yesterday I decided to organise the dining room, which, as dining rarely takes place there, doubles as my sewing room. It’s bright and airy, and has the large table which I am free to cover with all things crafty. Over the summer I’d accumulated more fabric, accessories and tools so I spread everything across the table to decide where to begin. Fabric storage options are something I’m still investigating, and I’ve seen recommendations on using comic book sheets of card used effectively, with fabric wrapped around for neat and rigid storage. Yesterday my mum gave me a colourful woven bag she’d bought in Mexico, so I designated that as suitable for FQ’s and partially used metres and half metres. 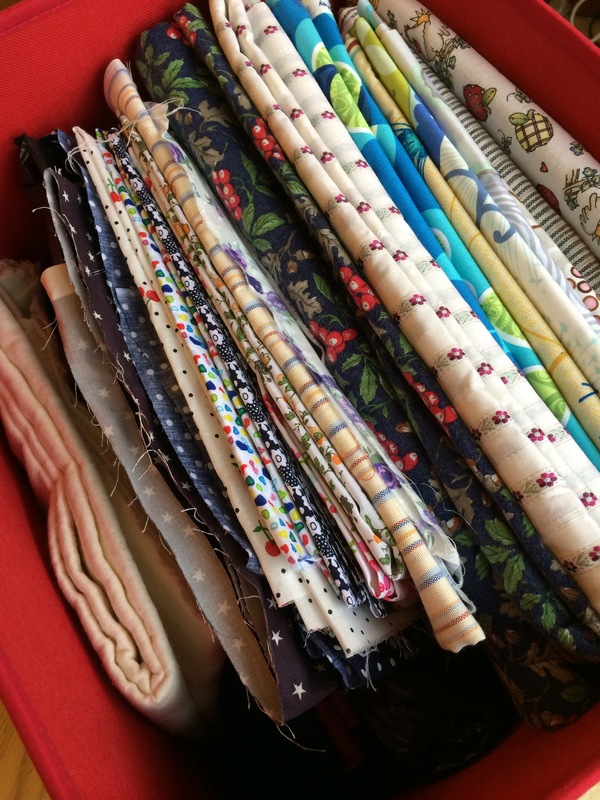 I sorted Christmas fabrics and vaguely put plains and patterns in order, but also kept some in the groups I had bought them in. For want of a better option, I put my complete metres and half metres back in an Ikea box which is suitable simply because of size. 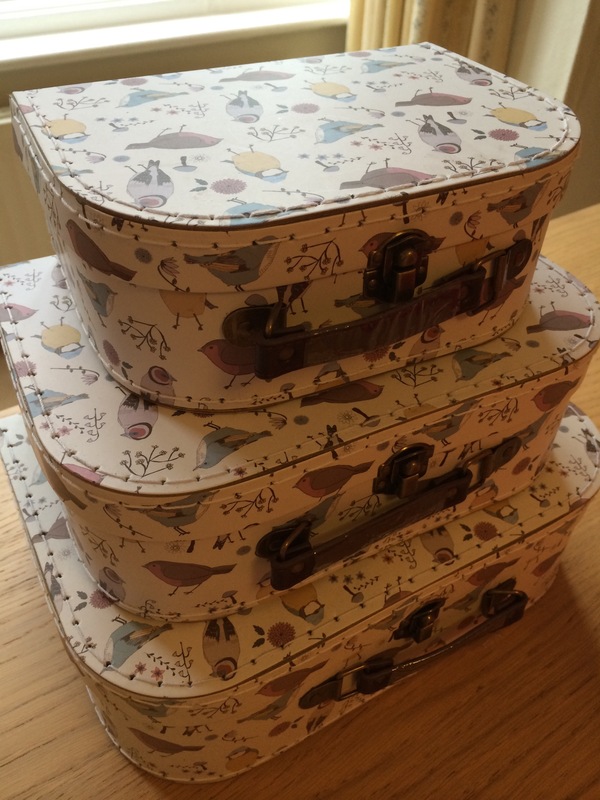 Finally, I got to my main motivation for re-organising: three stacking bird suitcases that I’d bought in North Yorkshire. Now, to my mind, every design or decorative object can be improved by adding one or more birds to it, so I could not resist treating myself to the suitcases. 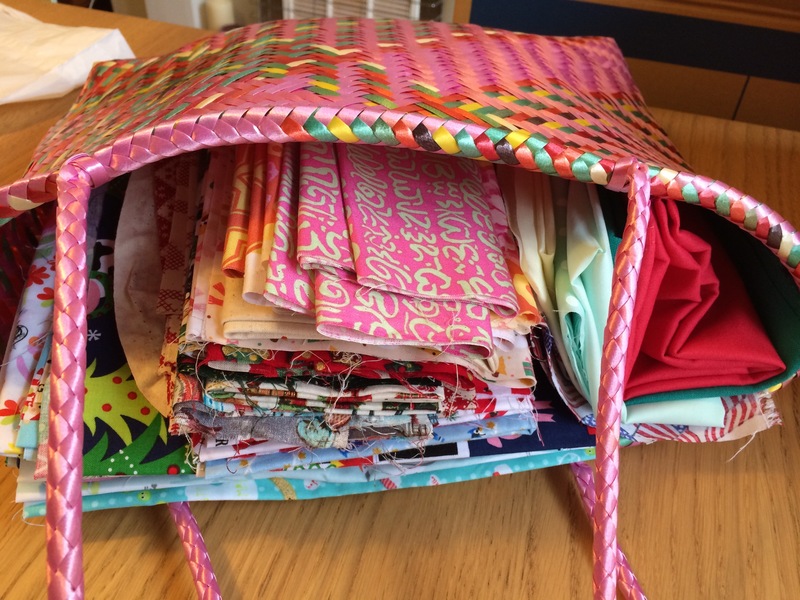 Inside them I have stored ribbon in one, general craft supplies in another and a group of items loosely categorised as fastenings; although I am hesitant to use them I have no qualms buying them. Now I’m good to go, and as long as I apply the same organisation to school, hopefully I’ll be able to complete both work and home tasks to a good standard and ahead of time. Wish me luck.